Broadoaks has a bespoke dementia wing allowing the Home to carefully and mindfully manage and where possible slow the progression of dementia. This is achieved through the combination of a secure environment and knowledge of our residents as individuals who have a life to live. 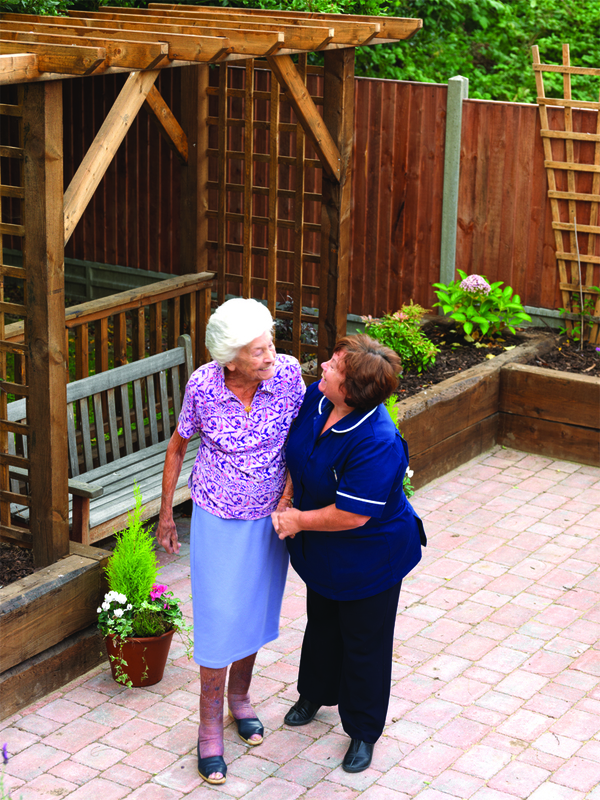 In addition to the standard Nursecall, dementia bedrooms are fitted with a dementia care unit. The unit has been specifically developed to provide non-intrusive help for residents who may need assistance when they are confused. At Broadoaks we can cater for 8 people with dementia in a bespoke unit. Although primarily used during the night, the system can provide 24-hour monitoring of patients without the need for constant intervention from staff. It enables staff to select a movement profile which is considered to be normal for the particular resident. By controlling the lighting in the bedroom and en-suite, the system help guide a confused resident to the bathroom and back to bed without the need for staff to be in room. If at any time the resident’s movements do not conform to a pre-programmed ‘normal behaviour pattern’, the alarm is automatically raised to alert staff through the Nursecall system. In addition, the unit can be configured to monitor bedroom doors to alert staff immediately if a resident leaves the bedroom. Addition to the dementia units, each bedroom is fitted with a tracked ceiling hoist. Our staff are trained to the highest levels and specialise in care for residents suffering with dementia. They understand how to deliver the best care for dementia patients. We encourage the collation of memories and reminiscence from admission resulting in a visual indicator outside a resident's room in the form of a memory box. 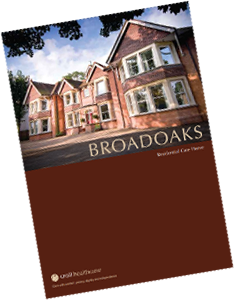 At Broadoaks residential care home we are dedicated to providing outstanding care for dementia patients. If you are looking for a quality residential care home specialising in dementia care in Essex then do not hesitate to contact us on 01702 545888.